I work with International Development Organizations who are working with communities in developing nations on projects as diverse as food security, water, health, income generation, adaptation to climate change, gender, education—or with connecting farmers to a market. International Clients. We have provided consulting and training to development staff from 500 organizations in 153 countries to develop and manage projects that impact over 400,000 people. Their projects have utilized 270 different kinds of solutions to address a community challenge. Scan the list to see which solution would work best for your project. I present the types of workshops listed below. All the workshops follow the progression of needs assessment, project design and project launch. Advanced training includes topics such as climate smart agriculture, food security and home gardens, water conservation and management, DRR, and community based agriculture. Every organization and project that I work with is different—and this progression gives us tremendous flexibility. Although we use this step-by-step process, the project’s theme is 100% customized by the community need, your area of expertise, and by the project design as it develops. NGO staff combine theory with practice by working in the field to design and launch a development project from the ground up. Participants develop a range of skill sets, including how to facilitate a participatory needs assessment and how to design and execute an impact oriented project. An example would be: this Non Profit Training page will be better for you. If you are interested in the Distance Learning or e Learning versions of these training programs—please follow the link to see over two dozen offerings. 1. 8 Day Training Workshops Presented in your Country. Your organization can work side-by-side with their own community members in the true context of a rural development project during this training workshop. No need to travel to a foreign land. Design and Launch an International Development Project. This hands-on field course has been designed specially for staff of NGO and donor organizations, university students of development, and people considering a career change into development. The course is designed to be used as a vehicle for you to develop a real project, in real time during this training program. A. Participatory Needs Assessments. 2 Weeks. Conduct participatory needs assessments with a community in your own country in preparation for the live workshop—guided through distance learning. B. A Face-to-Face Workshop. Full Project Design and Development. 5 Days. Upon arriving at your offices, your team will begin, working with your workshop leader using your needs assessment to begin the development of a complete, fundable, launchable project. C. Project Launch: Community Capacity Building: 5 Months. Return home to your community and launch your project with the continued guidance of your workshop leader. I’ve been working with groups of people visiting Guatemala since 2003. I lead visitors through four types of field experiences based upon their interests and expectations. Face-to-Face. I’ve had the good fortune to have worked in the field with NGO and non-profit organizations in the United States, Mexico, Central America, Africa and Southeast Asia. I’ve also worked with donors in North America, Central America, Europe, and Asia on proposal development and reporting. 5. 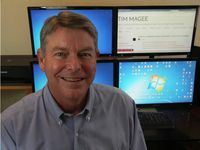 Mentoring with Tim Magee. 6 Month Mentoring Program. This mentoring program is a combination of training, consultancy, and coaching. I will provide an experienced set of eyes, concrete feedback in your work, help you prioritize and focus what’s going to work best, show you how to research evidence-based best practices, experiment and test your approaches. I will also show you tricks for working smarter and faster. What can you do with these programs? Please free to contact me if you are interested in learning more about dates and how my Field Courses can increase your program impact.